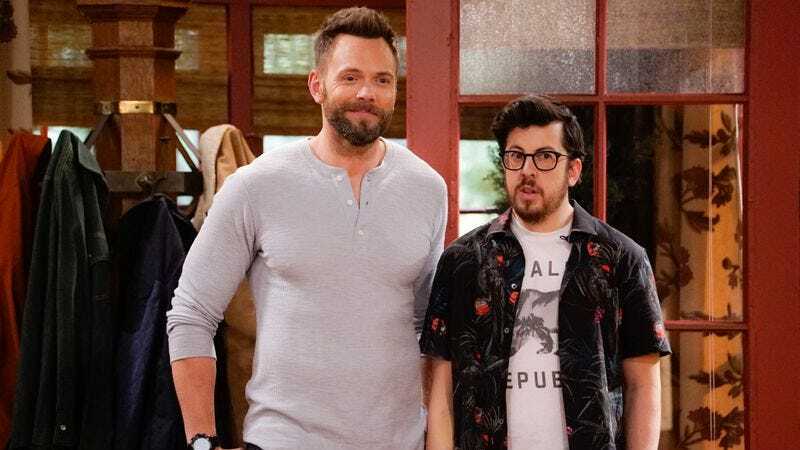 CBS has canceled its Gen X vs. Gen Now sitcom The Great Indoors. Variety reports that the Joel McHale-starring series won’t be returning for a second season, thus sparing America’s millennials from its latest hot takes about selfies, non-toxic masculinity, and, ironically, hot takes. The series co-starred Stephen Fry, Christopher Mintz-Plasse, and Susannah Fielding, all working together with McHale at an adventure magazine staffed by kids who’d never been on any adventures themselves. Weirdly enough, The Great Indoors was actually one of the network’s highest-rated shows last fall. But that’s largely been attributed to its comfy spot directly behind The Big Bang Theory; whenever CBS schedulers tried to push it out of the nest to stand on its own two feet, ratings inevitably faltered, and it was forced to return home to mooch off the network yet again.